As a nymph, it is unthought of that Merope would reject an approach from Orion, but that is exactly what she has done, though she knows there will be consequences. Banished to earth under the guardianship of her uncle, Prometheus, Merope must learn to live amongst humans. This is hard – humans have funny ways – but she must try to fit in. When she meets Lukas, a human teen, she starts to feel like she’s never felt before. But love between a goddess and a mortal is forbidden, and Merope soon realises she has attracted the wrath of the gods. Nymph is an intriguing young adult read, set chiefly on an idyllic Greek island, as well as within the heavens. Drawing on Greek mythology, blended with contemporary romance, the story will intrigue those with an interest in mythology, or serve to entice the reader to learn more. 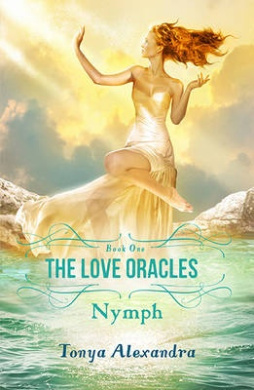 The first in The Love Oracles series, Nymph is suitable for teen readers as well as adults.